Educators have started incorporating iPods for academic purposes and a growing interest exists in using podcasting as an educational tool. However, it remains uncertain whether podcasting will hit the critical mass and become an indispensable teaching tool for the classroom. In this regard, it is critical to evaluate the adoption experience of the faculty and identify the benefits and challenges encountered in the process. 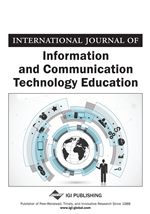 This paper derives its theoretical framework from two threads, the original model of the diffusion of innovation and the modified model in the organizational setting, which will help explore the phenomenon of podcast use at universities. This paper examines factors that might have a significant role in the faculty’s experiential use of podcasting. Educators have been constantly testing technological tools to facilitate learning and teaching. For years, they have implemented a wide range of electronic devices and technological developments in classrooms: radio, closed circuit television and the Internet. E-learning pushes the use of technological tools to an unexpected higher level. In recent years, podcasting has become the buzzword on campus. CNN reports that iPods are “the most in thing among undergraduate college students” ahead of beer and facebook.com (CNN, 2006). It is easy to imagine students using the iPod to make up for lectures they missed, or to brush up on key concepts as the final exam approaches (Read, 2007). Professors of higher education are given a chance to meet students on their own turf. Though some professors jumped on the bandwagon, “not everyone is sold on the utility of the podcast” (Vestal, 2007). It is uncertain whether podcasting will hit the critical mass and become a majority of professor’s indispensable teaching kit in classroom. However, it is critical to evaluate faculty’s adopting experience and identify the benefits and challenges encountered in the process. After all, faculty members are the podcasting adopters, users and practitioners. Their perception and their experience with podcasting will help develop models of applied podcasting practice and inspire continued innovations with the technology and determine the impact of podcasting on higher education.